Do you know what an “almost counting word” is? Do you realize how much everyone uses them in everyday conversation? We all use such words that approximate or hint at counting, but these words are not precise or accurate. 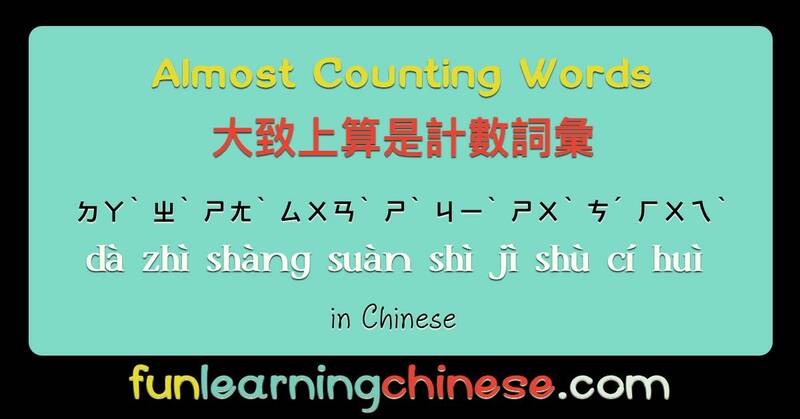 Many almost counting words are comparative, implied or in context. Most almost counting words would need clarification if any real action needed to be taken. No one will agree to buy something for a “many” dollars, even if they expect to pay a relatively large amount. Instructions to sew a waistband “several” inches around will not be very useful. Most of the time these words are used as adjectives, so will have the adjective marker 的 ㄉㄜ˙(de.) spoken or written after them (or soon after them, if there are other adjectives being used as well). [(we two)(Beijing “r” accent)](not)(always)(to know)(we)(will)(to go)(where). but we are boundlessly happy to go along. 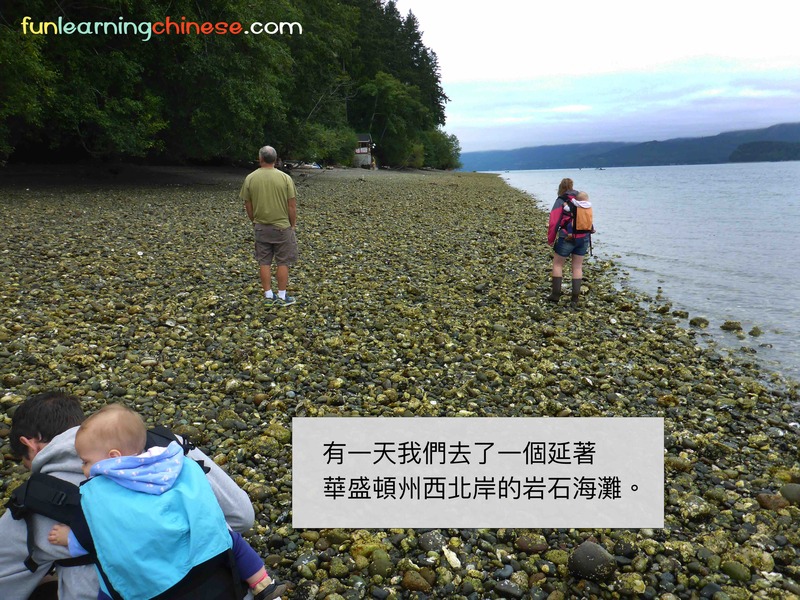 One day we went to a rocky beach along the northwest coast of Washington. The book is available on kindle or as paperback. If you buy the paperback, you get the kindle version for free. If you sign up for my newsletter, you will get access to my private resource page which will soon have an audio recording of the book, as read by my Chinese tutor! 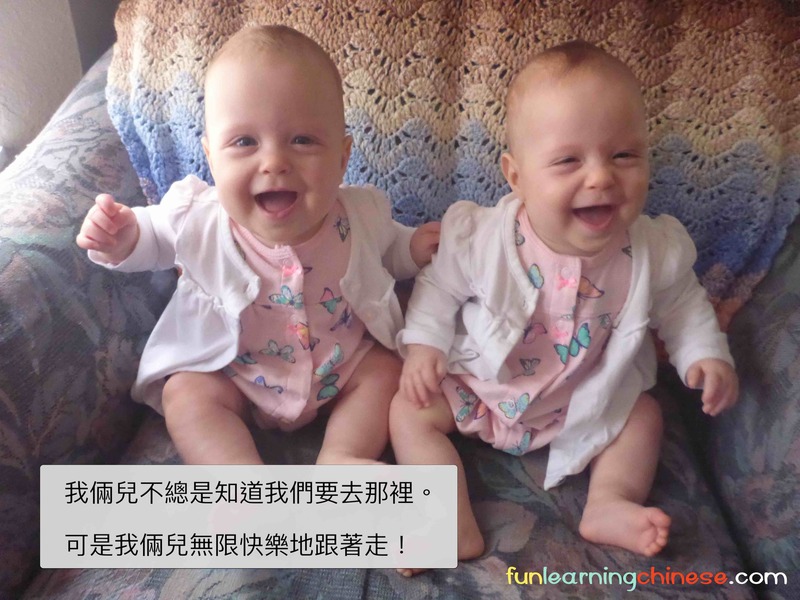 If you know someone who is learning Chinese, don’t forget to tell them about the book. My daughter showed it to her college professor who teaches her Chinese class and she thought it was very nice!